HOW IT WORKS: YOU WILL BE EMAILED A VOUCHER WITH A UNIQUE CODE. YOU MAY PRINT THIS IF YOU WANT TO GIVE A PHYSICAL GIFT. YOUR LOVED ONE WILL ENTER THIS CODE AT CHECKOUT WHEN HE/SHE ORDERS AND THE VALUE OF THE VOUCHER WILL BE TAKEN OFF THE TOTAL. 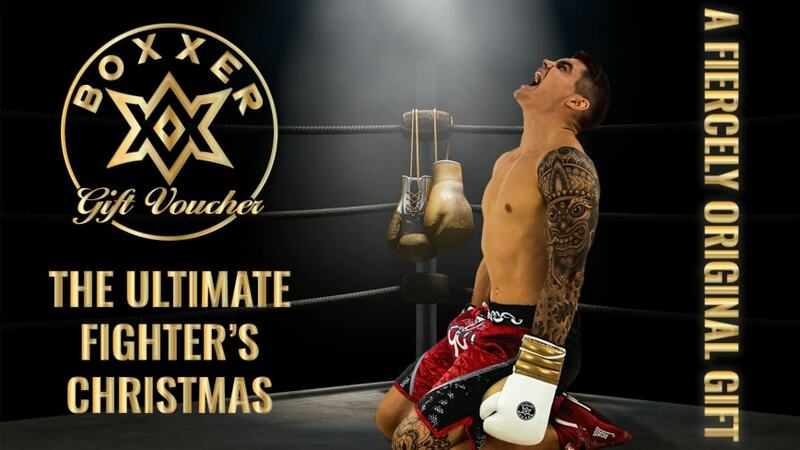 Most fighters live and breath their sport so if you are looking for a gift with the "wow" factor, a Boxxerworld gift voucher can't be beaten. You set the amount and your loved one does the designing. It's possible to top-up at checkout if the gear is more expensive than the voucher. This Christmas day/ birthday or other special occasion you and your loved one could be designing their special gear together. Little could mean more to any fighter. If you want the gift voucher to be sent on a specific date please enter it here otherwise it will be sent on the date of purchase.